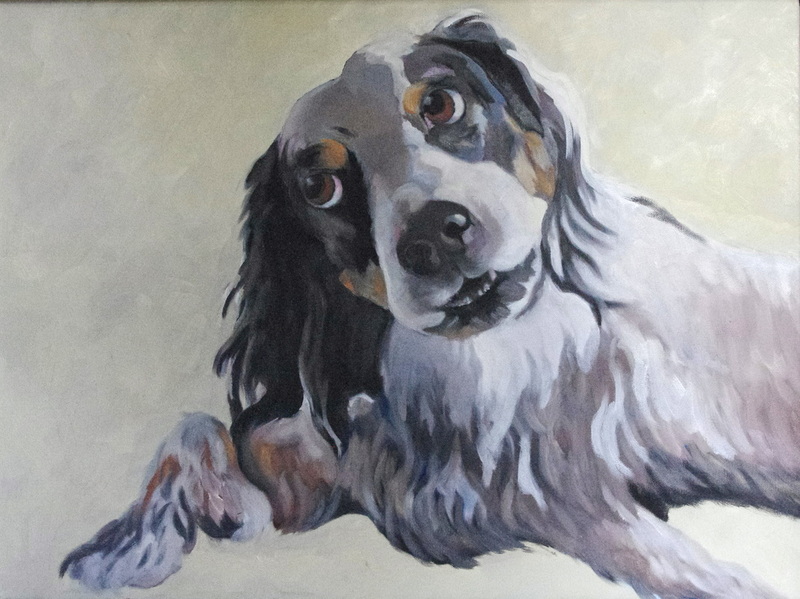 Custom Oil Paintings of Your Favorite Pet! The portraits are not so much depictions of dogs at rest gazing at the painter, but rather the image you will always carry with you of your dog’s unique character and spirit. 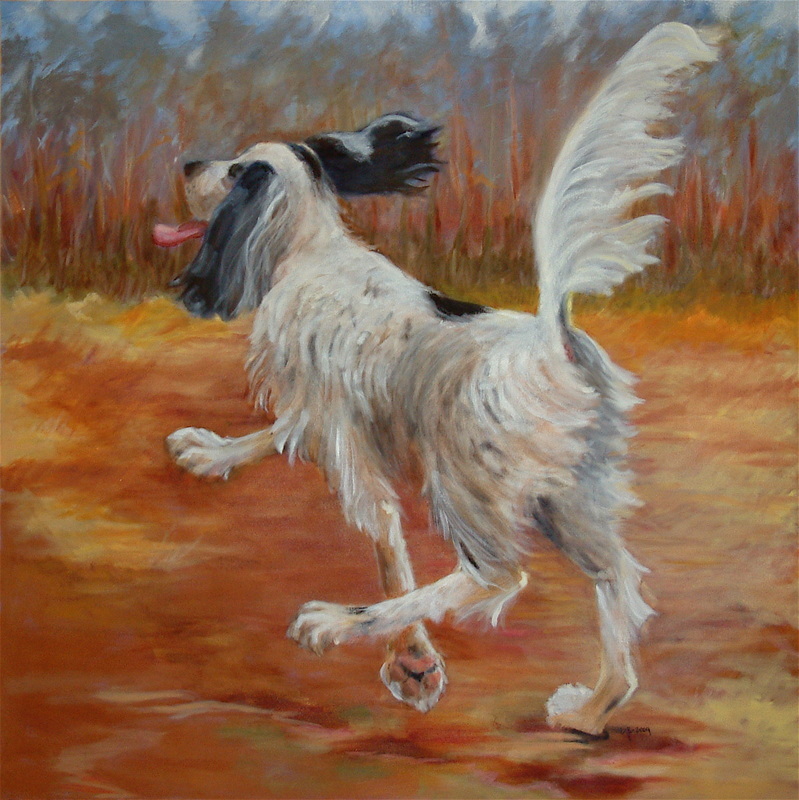 As an example: Gail’s 12-year-old English setter Bella has always been the fastest dog, other than the greyhounds, in the park. Gail’s oil paintings are done from a favorite photo of your pet. 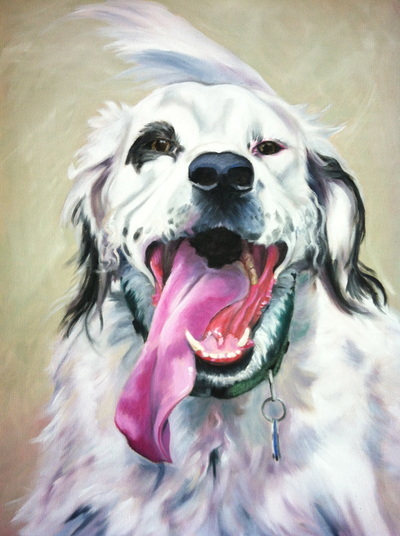 Let her capture your pet’s personality! Send Gail your questions TODAY! Gail is a 2009 Fine Arts Graduate of the Columbus College of Art & Design. 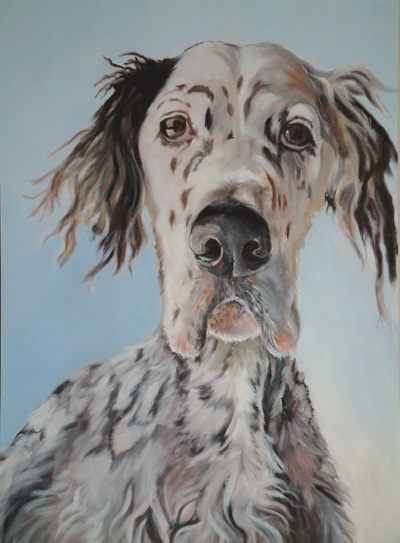 She is based in the Clintonville neighborhood of Columbus, Ohio and is at the beck and call of two English Setters. 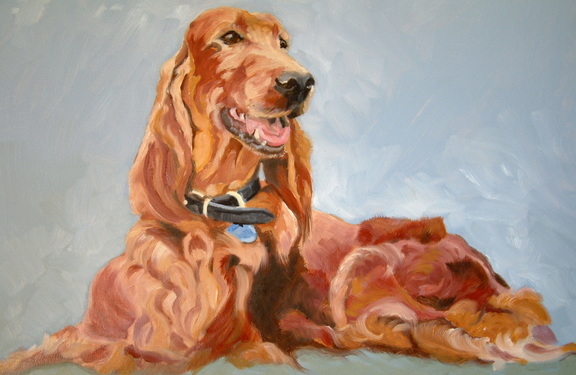 Gail began GoodDogArt in 2012, but had been painting landscapes and still life for many years. 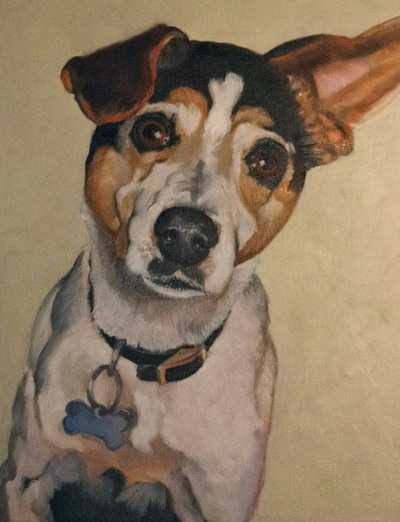 Since starting GoodDogArt in 2012, Gail has painted numerous commissions, for people all over the country, many being repeat customers as gifts for others. Since all communication and photo sharing is done electronically, she can work with anyone anywhere in the world! HAVE A QUESTION BEFORE ORDERING? ASK GAIL. “I commissioned GoodDogArt to do two paintings – one for myself and one for a friend. 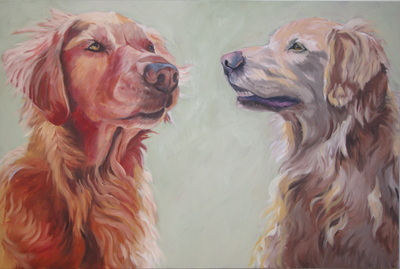 Both portraits completely captured the spirit, soul, and personality of the dogs allowing them to come to life on the canvas.